Future therapies Injected nanorobots could cure cancer / Health News | Alternative medicine and methods of treatment of diseases. What sounds more like science fiction today could actually become a reality in the future: Scientists led by Professor Li Zhang from Hong Kong University have created a new generation of tiny, remote-controlled nanorobots that might one day enable doctors to fight cancer cells, among other things. The results of the research have now been published in the journal "Science Robotics". Cancer is the second leading cause of death in industrialized countries after cardiovascular disease. For decades research has been fighting against the treacherous disease, but it is far from conquered. Now, an international research team has published a new approach that gives hope: According to it could be possible in the future to inject biohybrids in humans to transport drugs against cancer to the proliferating cells. The team of scientists from the University of Hong Kong and the Universities of Edinburgh and Manchester had created bots from spirulina algae. Algae, which are sold as health supplements in health food stores, have been a food source since the Aztecs, the University of Manchester said in a recent release. In their article in the Science Robotics magazine, scientists therefore welcome the biodegradability of nanorobots as a new concept in which magnetic iron coating helps fine-tune the rate at which they degrade. The nanorobots could be controlled with high precision by complex biological fluids using magnetic fields. 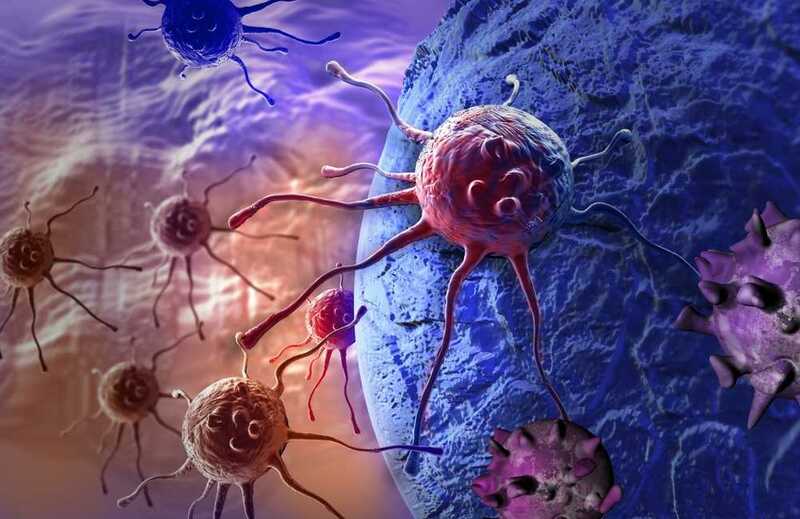 In addition, it is possible that the biohybrid bots release potent drug compounds that are able to attack cancer cells, according to the announcement of the university. "Instead of making a working microrobot from scratch using complicated laboratory techniques and procedures, we have set ourselves the goal of developing intelligent, nature-inspired materials that, due to their intrinsic chemical composition, provide beneficial functionalities for medical applications," the leader explains of the research team, Professor Zhang. For example, since the biohybrid bots have a naturally fluorescent biological interior and a magnetic iron oxide exterior, they could be tracked and activated within the body relatively easily by fluorescence imaging and magnetic resonance imaging, the scientist continues. However, before clinical studies can be carried out in a next step, more work would have to be done on motion tracking, biocompatibility, biodegradability, and diagnostic and therapeutic effects. "We are still in the early stages of development because such a robotic system must either be completely and safely degraded or removed from the body after exiting work," emphasizes Professor Kostas Kostarelos of the University of Manchester.